Since the reader has only the words on the page to go by, a writer needs every dialogue passage concisely written and correctly punctuated for how it must be HEARD when read. All courses are private, comprehensive, and include real-time feedback and help from Catherine on a project. EXERCISES: Participants will be given short exercises for various aspects of dialogue use. Real-time feedback by the instructor will be given on the exercises. 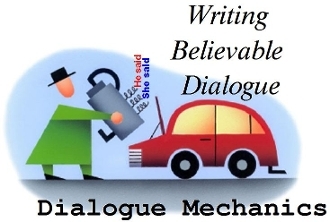 BONUS: At the end of the course, you will receive a FREE Revising for Dialogue cheat sheet. This course usually takes 4 weeks to complete. Please note that this course is for writers who have completed one or more manuscripts.